To advance the profession by providing an aspiring library student who has prior experience with managing information resources the opportunity to enhance their educational opportunities. The scholarship is named in honor of Fritz Schwartz, who was a well-known and highly respected authority on Electronic Data Interchange (EDI), the Internet, and library standards. A frequent speaker at NASIG annual conferences, his last NASIG appearance was to conduct a highly rated workshop at the 10th Conference at Duke University. He actively participated in the National Information Standards Organization (NISO) and the International Committee on EDI for Serials (ICEDIS). 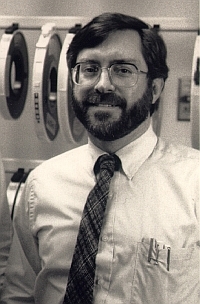 At the time of his death, Fritz was Manager of Electronic Services and Standards at the Faxon Company. NASIG is pleased to offer this scholarship in memory of Fritz's many contributions to the library profession and to honor his energy, warmth, humor, and passion for standards. This award is open to qualified students in any NASIG member country (defined for this purpose as the United States, Canada, Mexico, and Greenland). At the time the scholarship is awarded, the applicant must be entering an ALA-accredited graduate library program (or Mexican equivalent) or must have completed no more than twelve hours of academic requirements towards the graduate degree at the time of application. The applicant must have experience managing information resources and a desire to pursue a professional career in information resource management (e.g., serials and/or e-resources acquisitions, resource metadata and discovery, scholarly communications, collections management, digital publishing, e-resource or serials sales, scholarly publishing, or knowledgebase management), vendor, agent, or scholarly publisher after earning the graduate library degree. Winners will be offered the opportunity to share a 10-15 minute presentation during the conference at the Student Spotlight Session.